The North American Society of Pipe Collectors was founded after a long evening spent over a pot of good coffee and more than a bowl or two of good tobacco. Phil Bradford and Regis McCafferty decided that a club was needed in Ohio to promote pipe smoking, information sharing, knowledge of tobaccos, and fellowship with other pipe smokers. The club would share information via a newsletter, be open to all, and hold at least one show each year. The club was founded in 1993 as the Ohio Pipe Collectors. In March of 1997, the club had grown to include members from 28 states and Canada, and the Board decided that a new name more appropriately reflecting the scope of the membership was called for. 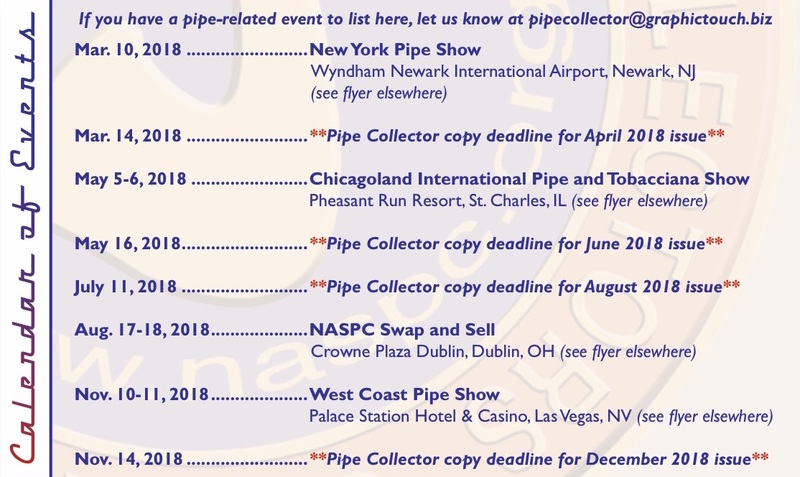 The name was changed to the North American Society of Pipe Collectors. NASPC continues today, working to promote pipe smoking, sharing of information, and fellowship.